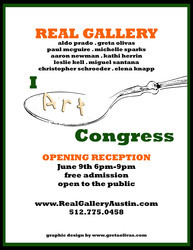 I Art Congress will host their fifth SECOND THURSDAY ART WALK on June 9th 6pm-9pm 2011 Downtown Austin along Congress Ave. www.IArtCongress.com made possible by a grant provided by the Downtown Austin Alliance. 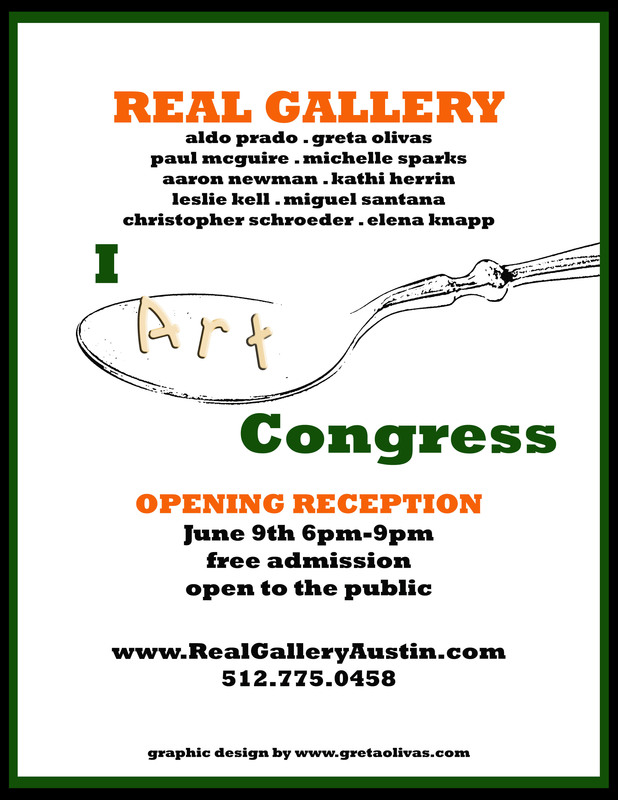 Real Gallery is hosting a fine art show at 912 Congress Ave Downtown Austin for this event. Choose from a wide selection of artworks both prints and originals for your office, home.